Are you looking for a reliable tool to protect privacy or unblock restricted contents? VPN is the best solution. With the massive and advanced surveillance and tracking technology around the world, more and more users are searching for a way to get Internet freedom and reclaim their privacy. VPNs become increasingly popular. Please note that not all VPNs specialize in privacy protection. Pick the right product. Which is the suitable VPN for you? After testing thousands of popular VPNs, we found out that Perfect Privacy VPN does a great job in defending users’ privacy. It has high customer testimonials rate. You can view its detail features in this Perfect Privacy VPN review. Why Choose Perfect Privacy VPN? Perfect Privacy VPN is one of the most popular services on the market. It uses safe and reliable industry standards to secure and anonymize your connection to the Internet. This VPN uses military encryption standard and offers advanced protocols & tunnels to secure your online traffic. To protect your privacy, it hides your real IP address and offers IPv6 addresses on most servers. It disguises your activities by delivering your Internet data through encrypted tunnel. You are allowed to cascade your VPN connection across multiple VPN servers to make it impossible to crack or track your connection. Perfect Privacy VPN provides multiple configurable port forwarding options on their VPN servers. The dedicated servers run in a ramdisk and are encrypted, your Internet privacy and security is guaranteed. Its servers are encrypted and cover the most popular locations throughout the world. This VPN supports Socks5 and Squid proxies on all servers to let you overcome Internet restriction and bypass government censorship without any problem. The provider has no bandwidth or traffic limit. They allow unlimited number of simultaneous connections with one single account. You can stream any videos you like and download favorite data freely. Besides, it utilizes NeuroRouting, TrackStop and others useful features to give you extra layers of protection. The VPN client is very easy to use. You can navigate to features and change settings on switching protocols, cascading, firewall and DNS leak protection. Perfect Privacy VPN is surely a useful Internet tool. Perfect Privacy VPN provides one package with flexible plans. You can choose to sign up 1-month, 3-month, 6-month, 12-month or 24-month plans. The longer subscription period you sign up, the bigger discount you get. If you choose to be billed monthly, it costs € 12.99 every month. No discount is available. The 3-month plan is 7% off and costs € 11.98 per month. 15% discount is offered on the 6-month. It is € 10.99 per month. The 12-month plan is 23% off and costs € 9.99 per month. You get the biggest savings on 24-month plan which is 31% off. It is only € 8.95 per month. Be a smart consumer and get deal when big discount is available. Perfect Privacy VPN provider accepts 60 different payment methods via Paymentwall. You can purchase a plan by using Bitcoin, Cash, PaySafeCard, PayPal, Credit Card, Perfect Money, MoneyBookers, Neteller, EgoPay or WebMoney. The provider kindly offers 7-day money back guarantee for all new customers. If you are not satisfied with the VPN service, you can request a refund within seven days from the date of purchase. Perfect Privacy VPN is a risk free service. You have seven days to test the VPN. Give it a shot and you will know if it is what you want. VPN servers are very important for performance and functions. Different servers meet different needs. Perfect Privacy VPN has an excellent network consisted of outstanding servers in 23 countries distributed throughout the world. You can use servers in Australia, Brazil, Canada, Czech Republic, Egypt, France, Germany, Hong Kong, Iceland, Israel, Japan, Latvia, Luxembourg, Lithuania, Netherlands, Norway, Panama, Russia, Romania, Singapore, Switzerland, Sweden, Turkey, United Kingdom, the United States and Ukraine, If you prefer a server with less Internet restriction, you connect to server in the US. It will help you access to most popular websites and services. If you live in mainland China, you can connect to servers in Hong Kong, Japan and Singapore. As they are close to the mainland China, you will get the best possible connection speed when accessing blocked western social media platforms or steaming services. If you don’t know the best servers for different traffics, it’s okay. 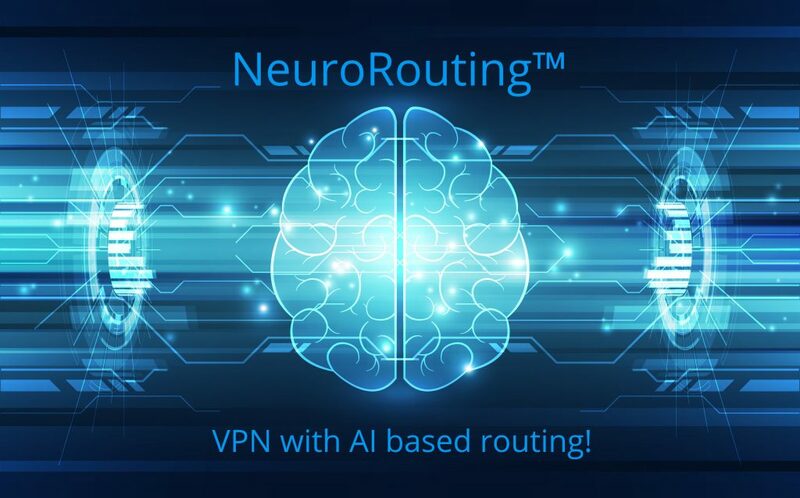 Perfect Privacy VPN offers NeuroRouting feature to help you connect to the closest VPN server to the targeted website automatically. In this way, you always have high speed without switching the server manually. Most of the servers have IPv6 addresses and bandwidth up to 1000 mbps. That is perfect for users who would like to stream HD videos and play video games. Perfect Privacy VPN allows you to access the Internet without limit at superfast speed. Is Perfect Privacy safe? Can it protect you online? Perfect Privacy VPN utilizes proven and safe industry encryption standards to secure your online activities. It implements an AES 256 CBC cipher, GMAC SHA1 for data Authorization, and a robust Handshake, combining with the latest protocols and tunnels. This is the highest encryption level in VPN industry so far. It supports Perfect Forward Secrecy with DHE-4096. It greatly reduces the chance of encryption being cracked which is great for privacy implementations. With the unbreakable encryption, you can conduct activities like check email, transfer money and have online meeting with partners securely and privately even when you are using public WiFi hotspot. The cyber criminals will not be able to intercept your session or steal precious data. In addition, the provider actively conducts audits internally and externally to find possible security bugs and deliver solution in time to ensure you are always highly protected. Perfect Privacy VPN supports OpenVPN, IPSec, SSH2 Tunnel, Squid proxies, SOCKS5 proxies and PPTP so as to handle different kinds of traffics and suit different network. OpenVPN is selected as the most secure and reliable encryption protocol. Being equipped with the latest encryption technology, it has been trusted by most users. You need to install OpenVPN client if your device does not support it. IPSec gives maximum security and maintain high speed. It works with most operating systems and does not require additional client software. This VPN supports SSH2 tunnels with AES-256 bit encryption for maximum flexibility. You are allowed to set specific software to tunnel through VPN traffic. Squid proxies can be used independently or in combination of other protocols. They will replace your IP address with the one of the respective proxy. Besides, they remove header data to prevent others from detecting the use of a proxy. SOCKS5 proxies can handle any type of traffic, but they do not come with encryption. You can combine it with another secure protocol to achieve security. PPTP is a fast protocol developed by Microsoft. It offers fast speed and works with most platforms while it is less secure than OpenVPN. If you mainly want high speed and don’t require security, it is a good choice. When you use the Internet, your privacy can be viewed by others. On one hand, your ISP know who you are and can monitor every move of you on the Internet. On the other hand, snoopers, advertisers and cyber criminals can track you and collect valuable information to make money or for other purposes. When you visit a website, your IP address is shown to the public, so others know where you live. They can record your browsing habits by collecting what folder you download and what products you purchase. Even worse, the government allows the ISPs to sell users’ Internet privacy without their permission. This is why more and more users choose Perfect Privacy VPN to reclaim privacy. This VPN masks your IP address with new one shared by lots of users around the world. The new IP address is your new online ID which won’t help others trace back to you. Likewise, your traffic goes through encrypted remote server. Your ISP won’t be able to view your traffic or track you. TrackStop is an outstanding feature that protects your private information. TrackStop protects all your devices connected to the VPN network. It can assist you to block thousands of malicious domains at the VPN server level. This tool also filters ads, malware, various malicious social media domains and fake news to prevent online fraud effectively. You can use it to block pornographic, gambling, violent websites and other improper contents for children while you don’t have to install an extension or plugin to use this feature. Simply switch it on under settings. Perfect Privacy VPN never feels satisfied. It not only hides your IP address and secures your connections, but also supports VPN cascading to make it almost impossible for others to track your activities. It encrypts your communication with up to four hops. Before being sent to web server, your Internet request will be channeled through up to four servers. It allows you to set one server as your online entry point and let your traffic get out of anther server. Its additional proxy servers and special tunnel also helps greatly in masking your online foot prints. This is ideal for users who want VPN mainly for privacy. However, multi hops will lead to slow speed. Your connection will be slower via multi severs than single one. The good news is that will not affect your bandwidth. You still enjoy unlimited bandwidth. Perfect Privacy client includes NAT firewall. NAT is shorted for Network Address Translation. This firewall anonymizes IP addresses of devices connected to your VPN network from external connections. Every single of the connected devices will be given a new IP address. When using the same VPN account, your devices can have different IP addresses. That is great for privacy. Furthermore, this firewall keeps your network safe from malicious attacks from hackers and other trackers with evil intention. It protects your device and online connection against malicious information packets and other type of threat that may harm your system. It is another considerable protection offered by Perfect Privacy VPN. Lots of users purchase Perfect Privacy VPN to gain access to content restricted in their physical location. At this globalization age, there still are many websites and contents only restricted to certain area. Many streaming services come with geo-restriction. Netflix is the most famous examples. It is a library of amazing US videos while it is available for users in the US due to copyright issue. It even cracks down VPN connections to prevent users from other countries from accessing its contents. BBC iPlayer is only open to users in the UK. Users who try to access it abroad will be greeted with ”Sorry, this content is not available in your region yet.” This kind of block upset people who have to move to another country. Luckily, Perfect Privacy VPN still works with Netflix, Hulu and BBC iPlayer. It enables you to overcome location-based restriction and gain access to desired websites and applications no matter where you are located. It allows you to travel or migrate to any country with your favorite shows and websites all the time. Perfect Privacy VPN supports traffics obfuscated through Stunnel, SSH or obfsproxy2/obfsproxy3. This is pretty useful for people who live in countries with high Internet censorship. For instance, many famous social media platforms, streaming websites, search engines and more websites are blocked in Turkey, China, Iran, Saudi Arabia and the UAE. After they recognize people use VPN to bypass censorship, they start to block VPNs. The special protocols and obfuscated traffics disguise your activities, making it like a normal https connection. VPN traffic won’t be detected, so you will be able to escape from the strict censorship and access any blocked website you like. Perfect Privacy VPN embraces P2P and torrent traffics. If P2P/torrent is banned in your country, you should protect your private information when downloading. If you download via P2P without protection, you may receive a warning email from your ISP. You may need to pay for a fine or face lawsuits. P2P traffic originally is not illegal, but downloading copyrighted content without permission is illegal. If you simply want to download via P2P/torrent sites, you can use Perfect Privacy VPN to hide your personal information when downloading. P2P/torrent downloading is allowed on marked servers. Do not connect to servers located in the US to torrent because it’s not allowed in the US. Others can’t view your real IP address and you are anonymous online. You will be able to download via P2P/torrent privately and safely with Perfect Privacy VPN. As the provider allows unlimited bandwidth and does not limit your speed, you can have the best downloading experience. Perfect Privacy VPN works with all major systems. It is compatible with Windows, Linux, Mac OS, DD-WRT / Tomato routers, iOS and Android devices. No matter you would like to stream videos on smart phone or protect privacy information on desktop, Perfect Privacy VPN has you covered. The provider allows unlimited simultaneous connections. That defeats many competitors on the market. Most VPN providers allow three to five simultaneous connections. You can install this VPN on any device you like. To secure all devices in the house, you can set up VPN on compatible routers. The user interface is clean and clear. You can look for specific features and settings easily. There is no complicated VPN configuration to do. You only need to follow the wizard to install VPN and set up your account. Experienced users can change the advanced settings to have it work in the way they like. If you have problem in using the service, you can ask for support via email. It allows you to use PGP encryption software to contact the provider in a private mode. You also can submit your questions and interact with other users on its active forum. It offers a FAQ section on its website. From there, you can find concise answers to question concerning the Perfect Privacy policies, encryption method, discount coupon, payment methods, server locations and its functionalities. If necessary, the support team helps you fix the issue via TeamViewer. The technician can chat with you and remote control your system to fix the issue instantly. You can view the whole process and end session any time you want. Your problem will be fixed in time. Perfect Privacy is committed to delivering effective privacy and anonymity solution. This company believes that every user has the right to use the Internet securely and anonymously. It operates smart and fast servers in 23 different countries. All the servers are configured to work with all provided protocols. When you are connected to remote server, you will have a new IP address automatically and your communication data travel through encrypted tunnel. That protects your privacy and enables you to bypass Internet restriction based on geolocation. Perfect Privacy VPN helps you unblock Netflix, Hulu, BBC iPlayer and more streaming services abroad. It is powerful enough to circumvent firewall and unblock Google, YouTube and FaceBook etc. in China and other countries with strict firewall. This VPN uses the best-in-class encryption to safeguard your online data. Others can’t decode your traffic without the 256 bit AES encryption key. It also allows you to route your connection over a maximum of four servers of your choosing. Its firewall keeps your device and data safe from various threats. You get all-around protection from Perfect Privacy VPN. This provider has strict zero traffic log and only you know what you do online. Perfect Privacy is a great VPN provider you can trust.